Larry Levis had wanted to die. He’d killed himself, his close friend and fellow poet David St. John told my high school English class years ago during an after-hours reading in Fresno, California, not literally but by habituating himself to so many mundanely self-destructive habits—booze, cigarettes, bad food, no exercise, drugs—that it was hard to say he didn’t know what he was doing. He privately wilted over a long, depressive period of adulthood before dying of cardiac arrest on May 8th, 1996—aged 49 and twice-divorced—in Richmond, Virginia, where he’d been living and working as a poet and professor. He was a long way from Fresno, but Fresno was never far from him. 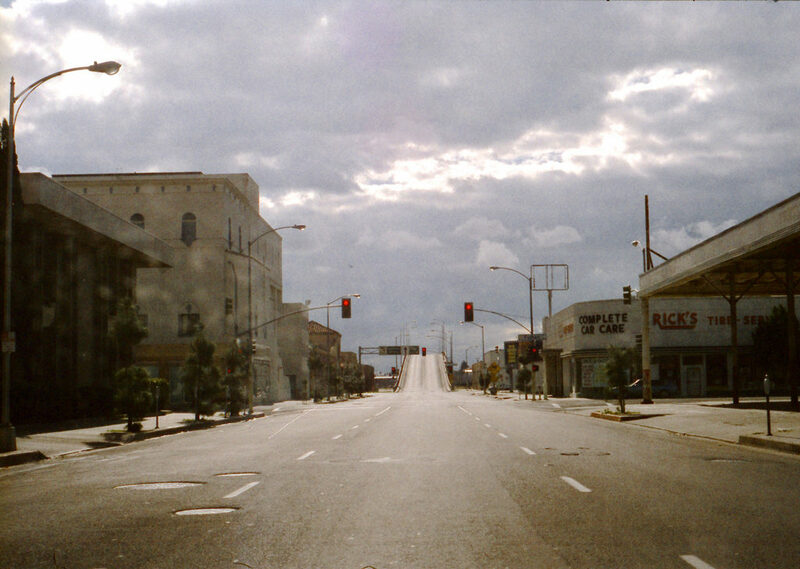 The Central California town, which Levis’s mentor and former U.S. Poet Laureate Phil Levine affectionately described as a “shithole,” has supported a micro-community of poets since the mid-1970s, when Levine took a teaching job at California State University, Fresno. Levine would go on to win a Pulitzer Prize for Poetry and a National Book Award (for What Work Is, which he dedicated to Levis). He maintained a home in Fresno until his death in 2015. Levis had studied with Levine at Fresno State in the early 1970s, as had St. John. Levis published five books of poetry and a novel while he was alive, and was given both Guggenheim and Fulbright Fellowships. St. John was a National Book Award nominee and published nine poetry collections of his own. Fresno has also been home Gary Soto, Peter Everwine, Bruce Boston, Juan Felipe Herrera, Andrés Montoya, James Tyner, Roberta Spear, Ernesto Trejo, Lee Herrick and many others. This may be the first time that a Fresnan has been described as preeminent in anything. Whatever eminence there might be in it, The Darkening Trapeze feels like an unmistakable product of Fresno, linguistic gestures suspended halfway between punchlines and suicide notes. In earlier books, Levis had written with the gravity of one who expected to find an emotional supernova inside every suburban bedroom and abandoned farmhouse. His were poems of nostalgic masochism, driven by a hope that something worth falling in love with would crawl out of the darkness and despair. In Fresno, there was no other way for poetry to seem then as a kind of a poor man’s drag, an intellectual LARP whose rules had no meaning other than separating the performer from the smothering normalcy of sun-cracked ranch homes framed against strip mall parking lots and sagging power lines. When Levis described his decision to pursue poetry in high school, he was open about the performative irony in it, like trying to act out the lines from a favorite movie alone. Growing up in Selma, a small farming town 15 miles south of Fresno, he’d become interested in the assigned readings of T.S. Eliot, Wallace Stevens, and Robert Frost. In his junior year he decided to see if he could write a poem too. He finished a draft and went to bed, telling himself that if he felt there was one good line in what he had written, he would dedicate his life to poetry and, if not, he would do something else. In the morning he found one line. Levis would later rationalize his attachment to poetry as a kind of salvation from Fresno, and from: “the shopping mall, the suburbs, the business loops, the freeways and boutiques with cute names…To most people I suppose such landscapes are slight, and unmenacing. To me they are the death of the landscape, and the eye’s starvation.” Yet, it was, over time, an impossible burden to maintain that poetry did anything other than extend these artificial pretensions into language. Like the best camp performers, Levis embraced the pretensions of melancholy infrastructure and suburban desolation, the rusted failures of past modernities and the pathetic figures who became invisible against the din of halogen lighting and eggshell stucco. The gas station rot in Fresno’s urban infrastructure was ironically bound to the agrarian fertility of the landscape itself. Officially founded in 1871 when Leland Stanford stumbled on an expansive wheat farm that an early settler, Anthony Y. Easterby, had built using an extensive network of canals. Stanford decided to place a stop for the Central Pacific Railroad near it, around which a bustling new city grew. The landscape was beautiful, with the Sierra Nevadas giving over to grassy hills, but temperature swings between summer and winter were brutal, with foggy December frosts turning into scorching 105 degree July days that would sometimes turn the San Joaquin Valley into a craggy waste. Using water diverted from the King’s River, which flowed down from the Sierras, Easterby’s canal system helped build a farm that was producing 4 million pounds of wheat yearly. With reliable train connections to ports in Los Angeles and San Francisco, the landscape would quickly develop into an agricultural center. The valley was systematically developed through the Central California Colony project, which divided the land into 20 and 40 acre plots bordered by irrigation canals and long boulevards that helped Fresno become one of the most profitable stretches of farmland in the world, generating $6.5 billion in agriculture revenue from more than 300 crops by 2012. Levis’s heart failure had an origin story that pointed back to Fresno. His death certificate is publicly shown for the first time in A Late Style of Fire: Larry Levis, American Poet, a documentary about Levis’s life directed by Michele Poulos, which premiered last October at the Mill Valley Film Festival. His cardiac arrest was triggered by a cocaine overdose, the end of a long struggle with narcotics that finally stopped his heart in its place. The Darkening Trapeze marks some of the first mentions of drug use in Levis’s poetry. Methamphetamine is a recurring presence, that most vulgar and irredeemable of drugs that Levis describes with the persuasive grandeur of firsthand knowledge. And the syllables of Florida were like a fire. Alongside raisins, meth was one of the major exports of Central California, the cheap and glamor-free drug that produced moments of hallucinatory grandeur in a landscape of migrant workers and tract house millionaires. A 2011 report in Boom claims 80% of the country’s meth labs, and 97% of its superlabs, were in Fresno, while admission rates for meth users in publicly funded treatment centers was more than twice those for heroin, alcohol, and marijuana. 17.3% of San Joaquin Valley residents lived at or below the federal poverty level, including one in four children. I remember growing up in Fresno in the ‘80s and ‘90s and beginning to think that I could write poetry too. Seeing St. John read for my high school class, and Levine after that, then driving across town to see Peter Everwine, all of whom seemed to have known each other and all of whom quietly smiled whenever Levis’s name was mentioned—suggested a kind of community that I had never before felt in the sprawl of tract house developments, strip malls, and miles of vertiginous orchard rows reaching toward the distant mountains. So I began reading, and I began writing, not with any particular faith in form or purpose but comforted by the idea that even alone in my bedroom I was doing something that would eventually make me a part of something else. And maybe one day that would take me away from Fresno, an abandonment that would, through the wink of metaphysics, become an escape. A few years later, after I’d decided Levis was my favorite poet, I asked another friend who’d known him what he was like. He told me about a boozy night spent with Levis in the rippled summer heat of Fresno with a group of poet-minded friends. Levis had been full of stories and cheer as the wine bottles were emptied, and at some point he excused himself to make a phone call. An hour later, my friend said he’d found Levis crying on the guest room bed, as if his joy could only be sustained by making private allowances for inconsolable sadness. The town we tried to change, changed anyway. So many belts, so many sandals sold. He seems only a line away from admitting his disappointment with the woman who aspires to only sell sandals easily extends to one who only aspires to write poems, a form in which the mystifications of sorrow becomes a way of postponing the political, and the political becomes the haunting, obsessive absence inside the semiotic artifacts of leisure, which create only a contemplative vacuum one carries around inside one’s self, germinating hopelessness in everything one sees. As I was reading The Darkening Trapeze I remembered a fight I’d had with my best friend, with whom I’d also been intermittently in love. We’d used poetry as a way of separating ourselves from those around us when we’d met, just as I’d used poetry to buy myself breathing room as a teenager in Fresno. We were on the verge of never speaking to each other again for a betrayal that seemed dire at 26 and impossible to remember at 39. I’d written her a goodbye letter, which I hoped would be an amicable acknowledgement that maybe it had been a mistake thinking we could be friends. I thought it would be fitting to include one last poem, my favorite, called “Elegy With a Thimbleful of Water in the Cage,” which I ripped out of my copy of Elegy. My favorite poem, from my favorite book, which left a missing space to honor her immanent absence from my life. The poem tells the story of the Cybele, who’s granted a wish for immortality but winds up shrinking over the years until she’s become so small she has to be kept in a birdcage, given water in a thimble. After many generations of caretakers, the cage appears empty and her pleas go unheard by all who pass the abandoned piece of bricolage. “I want to die,” she says, in vain, lines I imagine repeating in Levis’s head. the iron grillwork, into the irretrievable. A few months after I mailed my letter, my friend answered back from the void. She apologized, asking to retrieve what I had, in my borrowed melodramatics, insisted should be irretrievable. Without realizing it, I had learned to use language and poetics as a gesture of severing, demarcating things whose performative abandonment could be justified by their semiotic ripeness. I hadn’t learned to use language as a means of affection, preservation, or salvation, which, in poetry, becomes unimaginable as anything other than a metaphor. In swallowing her pride, she was fighting for my life in a small way, declaring it was still some part of hers and that she wanted to care for it in that way. It’s a delusion to confuse writing a poem with a revolution, but in the right setting, deciding to become a poet can feel like a start. To preserve a sense of newness over time, one has to maintain an inner vacuum against which everything can still seem effulgent and revelatory. As with any other assumed identity, in all the rhetoric about poetry, much has been written and said about how to be become a poet. Much less has been written about knowing when to set assumed identities aside, when to admit vacuums don’t need tending. Even if poetry might seem life changing in a dusty shithole like Fresno, all changed lives eventually just become lives again, ones that deserve more than meter and rhyme to preserve them. Michael Thomsen is a writer in New York. His work has appeared in The New Yorker, The Washington Post, The New Republic, The Paris Review, The Atlantic, Adult, and Aeon. After a visit to Haiti in the first week after the quake, Chelsea Clinton, who was traveling with Partners in Health, wrote an email to Bill, Hillary, and their chief aides, describing shock at the “mind numbing” incompetence of many aid workers. Della and Tatum, Sweet Pea and Packy, Ida and Cal. You met a lot of unpretentious people in Philip Levine’s spare, ironic poems of the industrial heartland.